The Icelandic word for stupid is heimskur ; the one who has never left home. In Ireland many of our social problems, like housing or health, can seem entrenched, bogged down in layers of history and process, unique to ourselves. We look within to blame and our actions are often reactions to failures. And we, once again, get snared in the nets of short term fixes that, once again, create new crises. Vienna is a global model for a city facing up to its needs. Over half a million people (30% of the population) live in one of the housing complexes under Ramser’s wing. In 2020 the city celebrates a hundred years of municipal housing and with Vienna one of the fastest growing cities in the world the Wiener Wohnen is building 4,000 new units a year. But critically Ramser also gets back 10,000 units a year since everyone rents rather than buys. Vienna’s public housing stock remains its property and as the primary land-owner it leads housing policy. Housing for All - International Conference on affordable housing in Europe, held in Vienna December 2018. 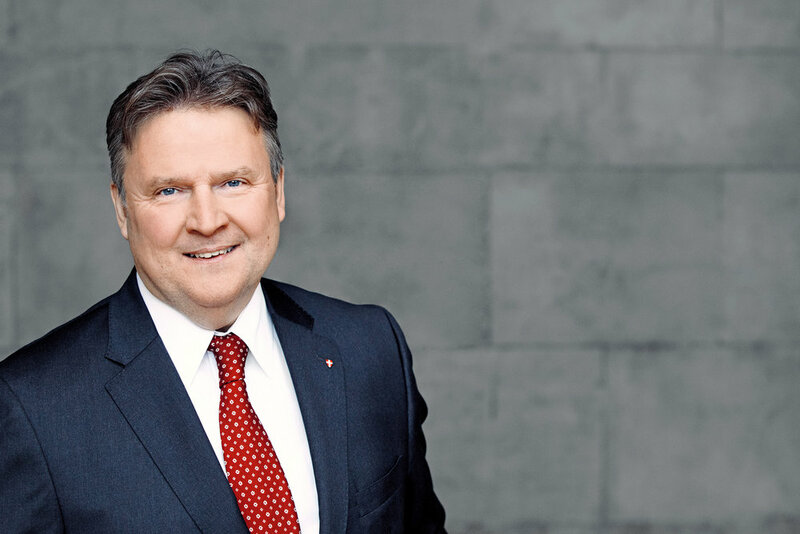 Vienna Mayor, Michael Ludwig, has just reinforced this by requiring private real estate projects in the city to build more subsidised housing than privately financed flats. ‘In this way we prevent land speculation and reassure the citizens of Vienna that housing in their city will remain affordable’, says Kathrin Gaál, City Councillor for Housing and Women’s Issues. For Ludwig the focus on public housing is about the survival of cities. ‘With two thirds of Europeans living in cities we need to protect housing, we can’t have firefighters, nurses, artists forced out of the city they work in, and are needed in. If that happens how can cities survive?, he says. The Vienna housing model was at the heart of a global gathering in the city, December 4-5, with several European cities, notably Barcelona and Lisbon, sharing how a market view of property as a commodity, fuelled by speculation and investor funds, had created a housing crisis with people living and working in the cities not able to rent or buy. ‘We’re not alone’ Ada Colau, the Mayor of Barcelona says, ‘cities must be for residents first, homes should be for people first, not global investments and vulture fund profits’. In Ireland our housing crisis can seem personal but in a European context we’re part of a trend where real estate in cities, from Berlin to London, Madrid to Dublin, forms a global monopoly board game and where housing is increasingly unaffordable for the city’s residents. While housing is not an EU mandate, as the provision of housing is a national one, Kieran McCarthy, a Cork City Councillor and a member of the EU Committee of the Regions is called for a European Summit of Housing in 2019. ‘Housing is currently about 20th on the agenda – it needs to go to the top five as a priority and we need to collectively focus on it’. ‘Housing in a human right’ says Leilani Farha the UN special rapporteur on the right to housing, referencing both UN and EU social declarations. ‘I think every state should adopt a housing strategy this is human rights based and the first step in doing that is to legislate the right to housing’. She supports the call by housing activists in Ireland to codify housing as a human right in national legislation. ﻿In Vienna, a city known for its wealth and prosperity, the commitment to social and affordable housing, and to the city itself controlling it, is broadly supported across the political lines. ‘It means not so much homelessness. It means social peace’, says Karin Ramser, ‘ the benefits are a safe, socially inclusive city, we don’t have ghettos. The policing costs alone if we did not invest in housing would be higher’. Her colleague Michaela Kauer who is Director of the Brussels Office of the City of Vienna, makes the point that the Vienna model starts with infrastructure and services first. ‘ The first thing we do is build the metro, then the homes, it’s quite holistic’. In each community of housing, schools, kindergarten, library, green spaces and sports facility are mapped in. ‘We’re building communities’, Ramser says. The community living model in Vienna uses many different ways of providing housing including cooperative schemes and financing for innovative approaches. The big different is its affordable housing means many middle class families can also benefit. Over 70% of all residents rent so the very Irish obsession with ownership is not there because rent is secure and stable. What is striking as you walk through Vienna is that the buildings are branded with the year they were erected, often with the name of the architect who designed it, and with a statement saying this building was built with public taxes. ‘It’s also to show the people you had your part in the making of this house, this we did with your taxes, that it belongs to the city of Vienna and its people’. Farha, the dynamic Canadian born UN special rapporteur, has launched a global movement called The Shift. The aim, in her words, is to ‘reclaim the fundamental human right to housing and to move away from housing as a place to park excess capital’. For her the cause and effect is a global financial system.“ I called recently for the members of the G20 to take on board this issue because of what's happening with housing. It is absolutely rooted in our economies and the functioning of our economies. It is a part of the financial world and it's time for global leaders to recognise that what we're talking about here; housing affordability, homelessness, is very much about their concerns for global economic stability’. For Mayor of Barcelona, Ada Colau, a former housing activist herself, the message for European cities is to come together, to unite for sustainable cities, designed for living communities, where housing is the foundation stone. Barcelona has already moved to regulate Airbnb which had decimates suburbs of the city, shifting whole blocks of apartments to short term lets and forcing schools to close. The city has now launched an affordable housing initiative. ’We need a European movement on this’, she says. For Claudio Acioly, UN Habitat, Head of Capacity Building, the message is that cities need to take back the power to run their cities and if needs be stand up to national governments who remain wedded to tax breaks for vulture funds and seeing residential property as a commodity. ‘It’s too important not to do so’, he says. For Acioly the impact of climate change is part of the urgency. With both local government and European Parliament elections coming in 2019 the opportunity is there for European citizens to demand affordable housing and sustainable cities is a priority. Our housing crisis is urgent but as Mayor Colau says ‘we’re not alone’ and the combined voices of European cities, seeing housing as a social good, may be needed to balance the power of the market viewing housing as a commodity delivering profits. Read the opinion piece based on this photo essay published in The Irish Times on December 13th 2018.